Halloween in England used to be a case of shut the doors, switch off all the lights and under no circumstance answer the door to a bunch of hoodie-clad yoofs wanting a 'treat' (ergo 'cash') for fear of getting your car keyed as a 'trick'. In the US, however, things appear to be different. This isn't a blog entry about Halloween, or the thousands of dollars people seem to invest in turning their house into a Hammer House of Horrors set, but simply my small attempt to integrate and take part. 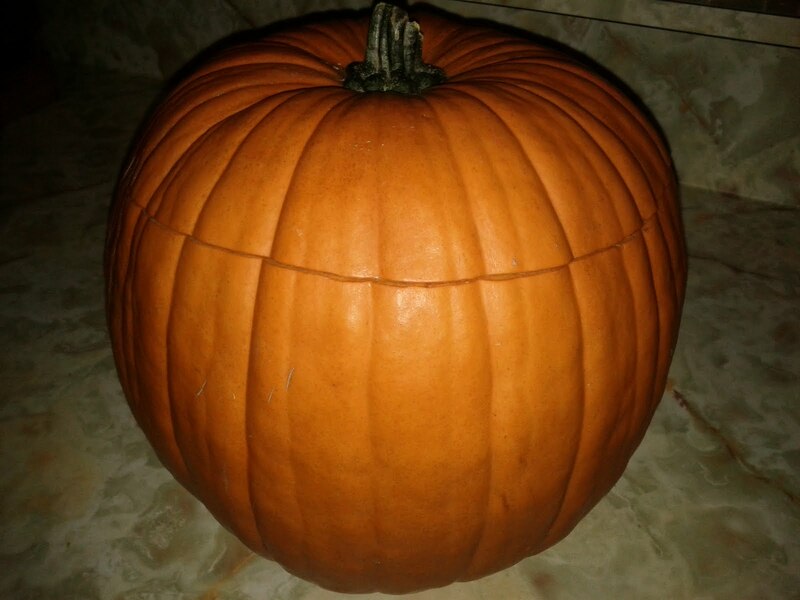 So I got a pumpkin. We hollowed out the pumpkin. 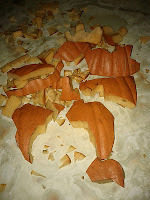 Then the decision...what to carve out of our pumpkin. 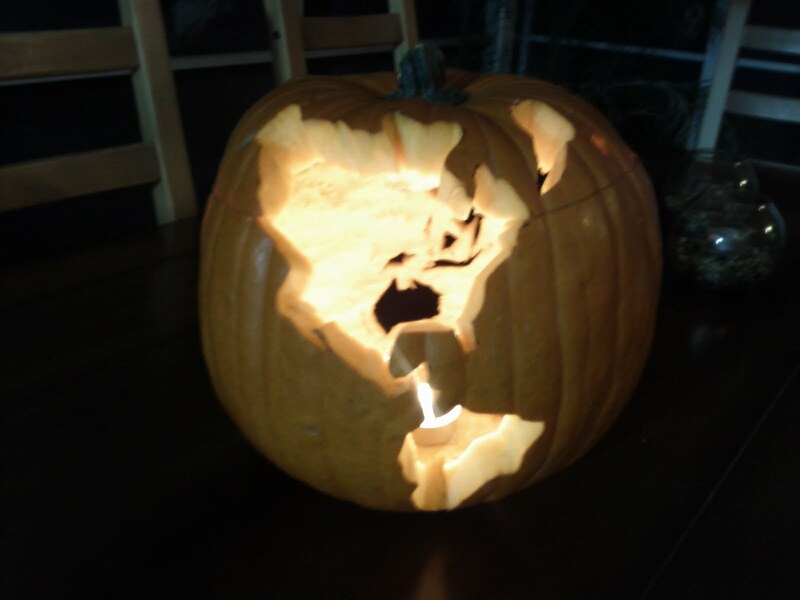 A quick search of the interweb revealed the astonishing lengths people go to when carving their pumpkin. Should I go for a Death Star, a KISS inspired Paul Stanley Starchild mask...possibly? Maybe traditional (contorted, toothless face) or a cat or something 'scary'? Or maybe I should do what I always do with globe type objects...make a map!!! It seems obvious to me...it's a ball shape so it's a perfect canvas for a map. 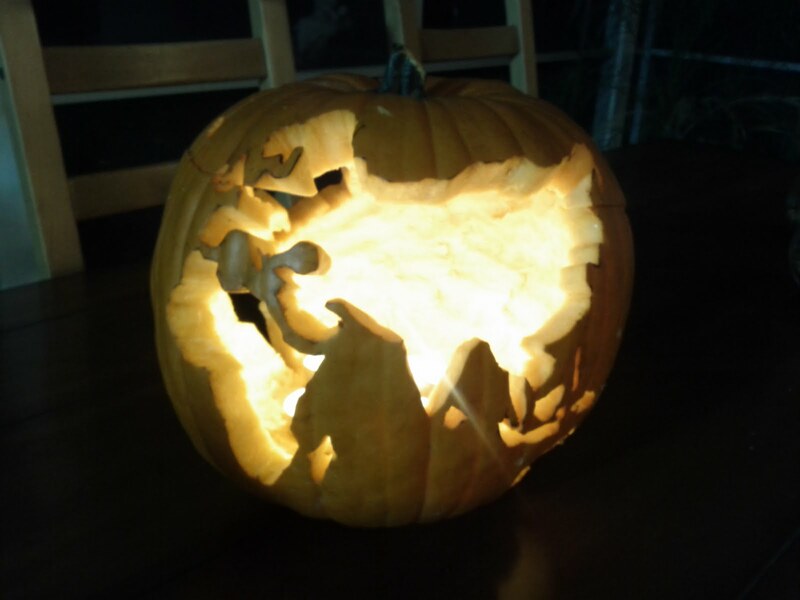 It actually surprised me how few map carved pumpkins I found online (actually, I didn't find any). So here we have it...my 2011 cartopumpkin which will be lit up in downtown Redlands this evening. It cost $2.99 and an hour of carving. That probably makes it the cheapest Halloween in Redlands this evening too. Only problem? As one of my colleagues pointed out...it struggles to accurately represent Antarctica. Agreed. Next year I'll create one in the Transverse aspect just to overcome this limitation. Choropleth maps hold a certain fascination for me. More specifically, a fascination with how so many people get them so wrong. They are a really simple map type but there are numerous pitfalls. Here, I take a brief look at a couple of published maps that show what sort of issues arise through poor data processing, classification and design. First off, let's look at two figures published in the Journal 'Area' many years ago. 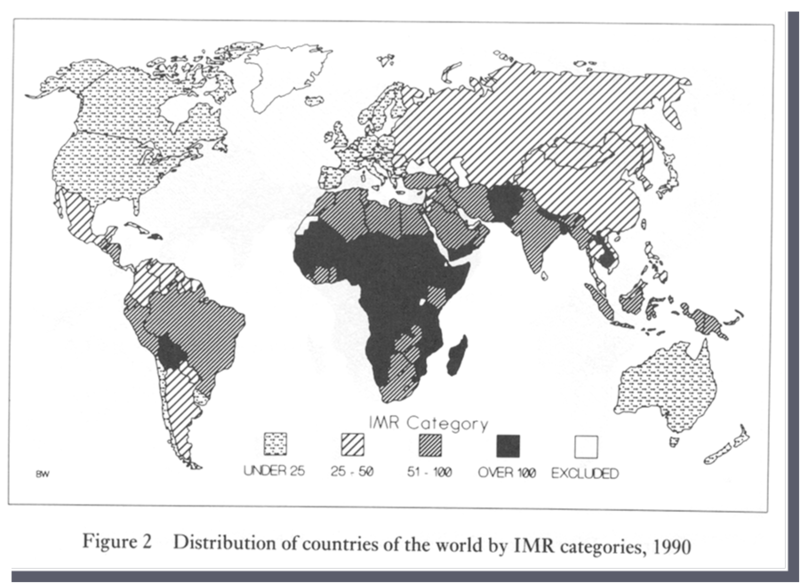 Taking Figure 2 first, the data presented is Infant Mortality Ratio (IMR). It's data on a numerical scale and has been classified into four classes: under 25, 25-50, 51-100 and over 100. The shading scheme goes broadly from light to dark using a variety of pattern fills. It's not perfect but it does show areas which display similar characteristics. The problem with Figure 2 is the use of black for the highest class. Black connotates totality and taken on face value, the map would appear to suggest total infant mortality in many African countries which is unlikely to be the case. Dark grey would have been more appropriate. Better, the scheme should not mix pattern fill styles. All dots or lines would be more effective, varied in width and density to create the light-dark effect. A secondary problem of using black is it masks the country borders. 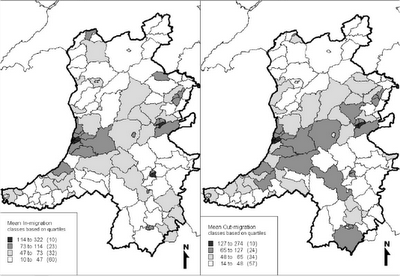 While we're on Figure 2, note that white has been used to show areas excluded from the study. While we are familiar with the world map, showing Greenland as excluded in the same colour as the map background isn't too much of a problem...but for choropleths in areas many readers may be unfamiliar with, avoiding using colours that clash with the map background is important so readers can discern what is part of the map and what is part of the background. Turning our attention to Figure 3, it's now worth pointing out that these maps appeared on the same page. 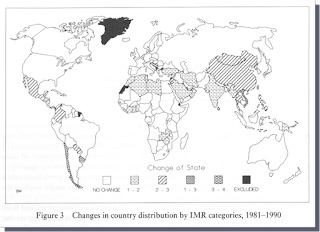 Figure 3 shows the change in IMR but here's where we begin to see major problems. The change of state is again on a numerical scale but it isn't defined. 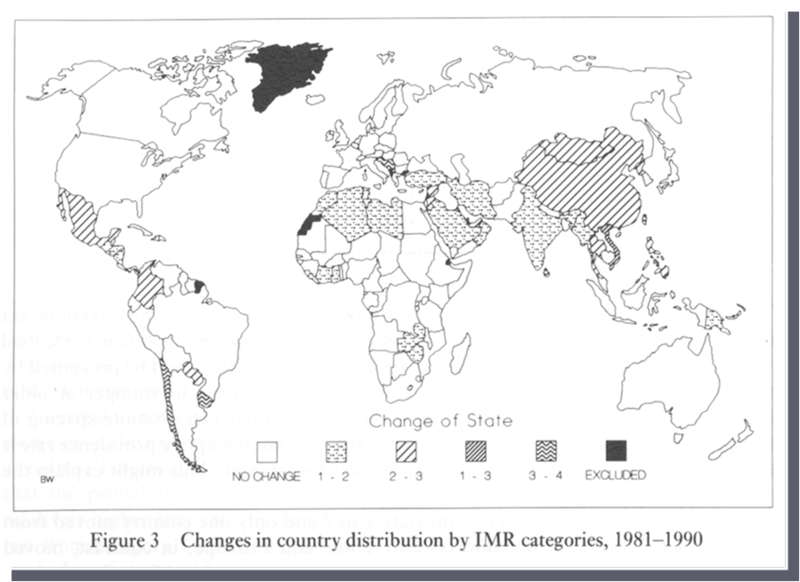 It's presumably % increase in IMR but we shouldn't expect the map reader to have to infer that. The classification of the data is also problematic with classes 1-2, 2-3, 1-3 and 3-4. Take another look, yes, you saw correctly. There aren't just overlapping classes (where would a value of 2% go for instance?) but the classes make absolutely no sense. That's the tip of the iceberg. No change is symbolised in white...the same as the map background and also the same as the 'excluded' area on Figure 2. It could be argued that 'no change' is important and ought to be shown in something other than 'blank'. Just as black infers totality, so white infers emptiness...and clearly 'no change' is not the message communicated here. If we juxtapose the two maps on the same page, the reader already has in mind that white has been used on Figure 2 to show 'excluded' so do they similarly make that connection here? Then we look at Greenland which is shown in solid black. But wasn't Greenland excluded in Figure 2? Well, yes...and it is here as well but it stands out as a really important feature now it's in black. Remember, darker features are more prominent visually yet Greenland is possibly the least important part of this map since it's excluded from the study. And what of the shading scheme across the numerical classes? There is no attempt to go from light to dark and the design simply shows a range of four arbitrary patterns. It simply doesn't work. Now let's take a look at one final example from a different publication which was created by a former colleague of mine to show in- and out-migration. It amused my former students immensely that this map was produced by someone with 'Professor' and 'GIS' in their title. So what's wrong with this one? First of all...where is this place? Here we see the problem I alluded to earlier that unless you're familiar with a place the use of white for geographic areas and map background is a problem. In fact, it's Wales in the UK and the area on the left of each map is actually the Irish Sea, symbolized the same as land to the north of the shaded areas. So is it all of Wales? Well no...it's actually only a part of Wales and it's not clear what the external boundary represents or, indeed, what the internal boundaries represent. They're possibly some census reporting areas but it would be helpful for this to be described in a title. Oh...there's no title, OK, let's move on to the legend. Well we've got that old favorite...overlapping classes on each map. This could simply be a labelling issue but equally, it's unclear where values on the class breaks actually get reported. We've also got shading problems and while a dark grey is used for the upper end of the scheme we have white for the lowest class which isn't, actually empty at all. Now take a look at the small area just above left of the north point. It's shaded yet not inside the apparent study area boundary. So it's been included in the data processing and classification but is on its own on the map. What do we infer from this? I've no idea because it's unexplained but if it isn't part of the study area then it should be excluded from the classification...and if that's the case the whole classification scheme is out by a fraction as there is one less area to map. Finally, we get a north arrow (when it isn't really necessary on a choropleth) yet in addition to lacking a title we also don't get a scale bar or an inset map showing us where this place is. So the moral of this story? Firstly, be careful when you create a choropleth to ensure the data processing, classification and design make sense and readers see the patterns properly without confusion. Secondly, don't always believe what you see published whether in books, journals or via the web. When I was a University lecturer I was required to create a set of learning outcomes for students to follow for my courses. These learning outcomes had to be capable of being tested through assessment and, the assessments needed to have clear guidelines and marking criteria defined to allow students to see how the work was to be marked; to see the extent to which they had 'met' the learning outcomes. The problem of this is that it is largely nonsense instigated by bureaucrats. It is a way for University administrators to establish pseudo-objectivity across every aspect of course design, delivery and assessment. It was meaningless and created unnecessary administrative burdens. Truth is, a good academic can assess the quality of a piece of work very quickly. In fact, I used to tell students in their first weeks of University that I could predict broadly their degree result right there and then. I was broadly right in my assessments. This is true for essays, for practical work and...maps. So how do we assess maps and what do we look for? In setting up a marking criteria for courses in cartography we can go to the nth degree in establishing what a particular map should contain, what it should omit etc. There are, however, far simpler ways to test whether a student has prepared a map well. You just have to look at the basics. 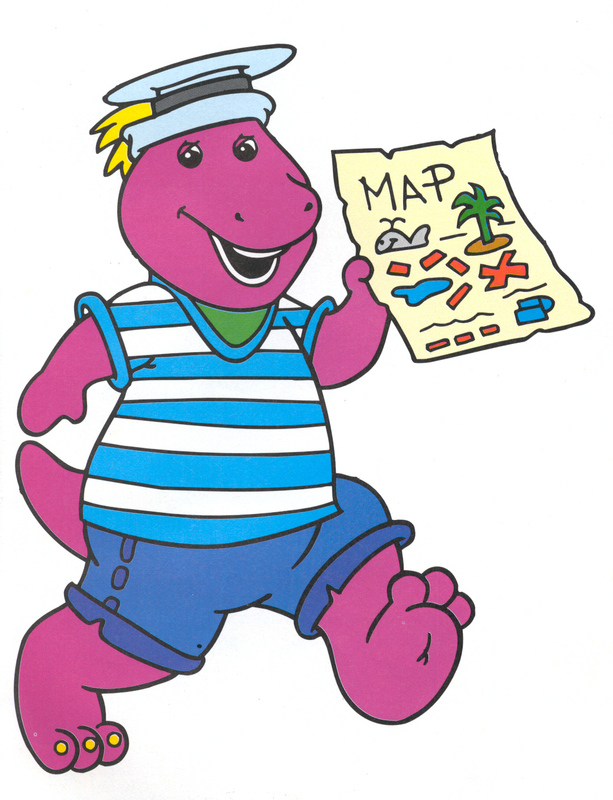 If they've got the basics right then the map works as a map. What they then do in terms of taking the design to a higher plane is where we distinguish the average from the truly talented cartographic designers; those that create purely functional from those that add in aesthetic appeal capable of drawing people in; and those that make the effort and deserve the credit from those that are playing their degree by numbers. So here's my ten (well, thirteen...) things to look out for to rapidly assess the quality of a map. This works for any map whether a student effort, your own piece of work or if you are judging. These are things that if I see I immediately infer sloppiness, a lack of knowledge and understanding and a lack of care that begs the question of how much time I should spend looking any further. In truth, if I see these sort of characteristics I quickly move on to something else which may be more deserving of my time. In fact, you can assign a mark to work that contains these sort of errors in a matter of seconds and move on quickly. If the student passes these basic tests then I spend longer and truly assess the extent to which they have designed a high quality cartographic product. So, my former students....if you ever got over 70% you passed these basics and I then spent quite a while looking at the work in detail. In truth, you should ALL have passed these basics. 1. Choropleth, not Chloropleth. My top annoyance is not even knowing the name of the map type you’re employing. How many people do you hear stick an 'l' in choropleth? Chloroform, chlorophyll; chloroseptic yes...but chloropleth...errr no! The elements in the word choropleth are derived from Greek. Choros (place; area/region) and Pleth (value) [thanks to Jeremy Crampton for pointing out a mistake in the original post that I have corrected here]. Hence we are mapping values at a place. The number of people who become indignant when this is pointed out is astonishing. Trouble is, it's a dealbreaker because you lose all confidence in their understanding of cartography. 2. 'This is a map to show': I was always taught by my academic tutors that you NEVER write this on a map...or the word 'legend' for that matter; worse, 'key' because a key opens a door...a legend tells a story! It's tautological. Of course it's a map. You've no need to tell people they are looking at a map..get straight to the title (and keep that brief and informative). This is relatively simple but all too often overly elaborate titles are used to mask a lack of content...something to fill the page. 3. Wrong projections: if you're relying on equal areas to tell a story, use an equal area projection, If you want to measure angles (e.g. for navigation), use a conformal projection. If you want to make an ugly world map...use Mercator. In essence, you cannot afford to ignore projections. They are fundamental and at a stroke can utterly destroy your map if you select the wrong one. 4. Legends that contain filenames: This is simply an example of the fact people are too lazy to change labels in legends. Most GIS software will take the layer name from the filename. How many times is this appropriate? Chances are it's not...so change it! 5. Totals instead of proportions: This is a problem so often seen on choropleth maps (and virtually always on chloropleths!). Put simply, a choropleth map shows data comparatively across the map. You have to use proportions, ratios or percentages. Totals take no account of the size of individual areas so a denominator MUST be used to normalise the data. If you use totals your map is worthless as it reveals completely incorrect patterns. I once spoke to a gentleman from the Forestry Commission who told me he’d spent his whole life mapping totals on his choropleth maps. He seemed quite disappointed to learn they were all meaningless. Consider an area 50 sq miles that contains 500 people compared to an area 10 sq miles that contains 100 people. If we map totals, the larger area with more people would be mapped darker than the smaller area with less people. However, both contain 10 persons per sq mile and are exactly the same in their essential character - the density of their population. They should therefore be symbolised the same so we can properly see this characteristic when mapped. 6. Accurate construction technique: This could be a lengthy issue but the simple advice is to learn what the map type is capable of conveying. Choropleths do a specific job, so do proportional symbol maps and so do dot density maps. They all have specific considerations to optimise their use so learn them and apply them. Decide whether your data is appropriate for a particular map type rather than starting out with your preferred map type and forcing your data into it. Need to create a surface but can’t decide whether to use Inverse Distance Weighted of spline interpolators? Or maybe try that Kriging thing because it sounds so much cooler? Spurious interpolation is easy to spot so learn what suits your data. 7. Misaligned map components: Nothing makes a map look like a rush job than poorly aligned map components. Titles that don't align with map edges or other map components that are randomly placed in available map space. Legends that are misaligned or, worse, individual legend items misaligned within the legend. Use rulers, grids, snapping, alignment and justify tools, that’s what they are there for. Use space to create balance and harmony throughout the whole map page. 8. Over saturated colours: Most naive mapmakers over-saturate their colours. There's simply no need and all too often it conflicts with the basemap anyway. Go for subtle and you'll find the map is so much better to look at. Remember that screen colours almost always don’t look good in print. If you aren’t sure whether your colours are over-saturated just try taking them back 10-20% and I’ll almost guarantee the map will look better. 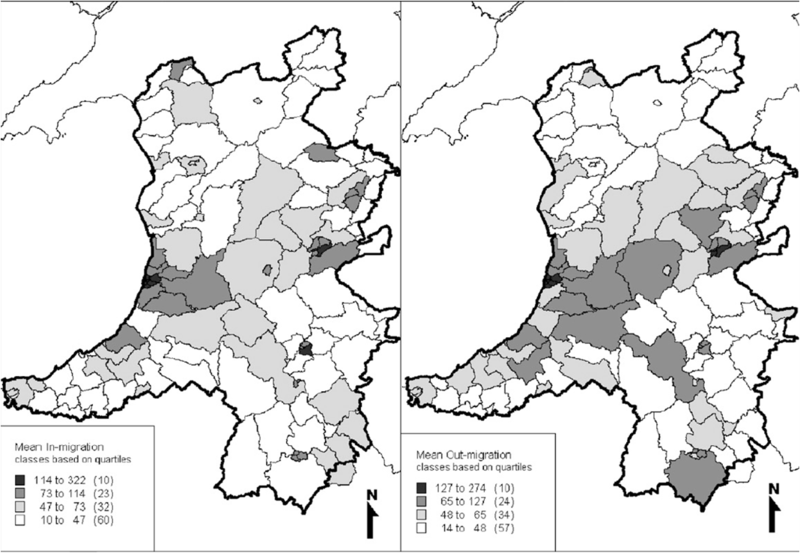 Thinking of using white or black at either end of a choropleth shading scheme? Don’t! It implies nothingness or totality...both of which are probably not expressed in your data. White can also easily be confused with the map background. 9. Labels that are too large: Possibly the most ignored aspect of map-making is lettering. And possibly the most common mistake is making them too large. Why? Because you want to be able to see your labels when you are designing and the temptation is always to make them larger than necessary. They therefore become dominant and overbearing. Try 6pt...or 5pt for some labels. You'll be surprised at how much tighter the map looks and how much better the labels will integrate into the display. 10. Overlapping map detail that obscures: So you don't know how to resolve graphical conflict using your GIS software? That’s really no excuse for presenting map detail that clashes and overlaps other detail. Yes, it can take time to tweak and to learn how to set your software to deal effectively with graphical conflict but what's the point of a map with graphical conflicts? 11. Overly ornate north points or scale bars: For some, the inclusion of an ornate north point makes them feel their work has reached a high standard. For others (i.e. me!) it's a wasted attempt at trying to overcome shortcomings elsewhere. I've lost count of the number of times I've seen an overly ornate north point accompany a map with other serious errors. It's like a beacon that highlights all that is wrong elsewhere. 12. Reliance on software defaults: Simple...don't do it. You will regret it because you map will be awful. No software knows what you want to map and what the message is. It'll get you much of the way in giving you a canvas with the basic components but YOU have to spend time working to make them better. It's not difficult in most cases...it just takes time and time is what makes an average map good and a good map great. 13. Spurious mashups: A vast subject in its own right. It’s simple to see when someone has a dataset and for some reason best known to them they feel an impossible urge to map it. Maybe they think it’ll make them look clever because they can plant a load of garish point markers on top of today’s favourite base map service and serve it up to the unassuming public. But is the map any good? Does it do justice to the data? Does it say anything? Flashy web maps attract attention but is it the kind of attention you want? Do you really want people to look at basic errors? So why offer these? All too often professionals, let alone students, let themselves down by not taking care in their work. When it's pointed out some take offence (a colleague of mine once said they can take the gate post as well!!! ), some become angry and indignant; worryingly, some fail to see the error at all. This sort of sloppy cartography is rife and not only does it damage the map’s ability to communicate a message but it damages your credibility and authority. Remember, design isn’t just about making things pretty, it’s about making things work & that means representing data accurately and clearly. Designing an effective map starts with knowing the basics and not falling into the pitfalls I’ve outlined here. It’s not difficult if you know what you're doing. Or maybe that's the problem...in which case find out before committing pen to paper (or mouse to screen)! Clearly this list is not meant to be taken literally...they are indicators. These sort of errors set off alarm bells to any cartographer (practising or academic) that knows their craft. It infuriates. I doubt this blog will save the world from such cartographic failures but hey, if even one person uses this list to check their own work I'll be pleased. For those that feel I'm making a fuss for no reason then you have already failed. Just stand back for a minute and ask yourself if you REALLY know what you're doing. If not, take a moment to learn something that'll improve your map. If you need to ask someone...ask. The final thing that infuriates cartographers is when people don't ask. You know, we might actually be able to help! Recently, I was looking to make a simple but effective webmap on ArcGIS.com to illustrate the use of a new basemap. One of my former students, Chris Clarke did a great print version of Charles Minard's classic Coal Export map using ArcGIS and this seemed a good one to recreate. I had to do a bit of work on the data (amazing what a print map can hide eh Chris?) but here is my version, based on Chris' original data. Widths of the figurative and approximate routes of coal movement represent approximately the amount of coal exports for that part of the route. The quantities are expressed in units of thousands of tons and are available via pop-ups for the figurative flow routes and destination ports. The grand total for each segment of the route takes into account the amount of shipping days taken to reach the destination as the ships used to transport the coal are coal powered themselves. Thus, total quantities at the origin and destinations of a particular vessel will not match. The reduction in quantity may be as much as 700,000 tons. As such only exports of over 500,000 tons have been included in this map. An excellent article describing the original 1890 map by Charles Minard can be found here. So many people have asked me for a copy of my map of the world of football so...here it is! Feel free to download and print the map for your own use. Downloading it accepts the simple conditions that you are not allowed to forward the digital file or print copies for sale or profit. I'm giving this away freely so I ask that you respect that principle. Download the map here. It's a 110Mb file and measures 58 x 41" (147 x 104cm) at 300dpi. 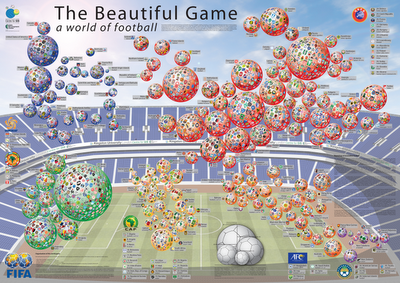 I created the map to provide a unique view of 'The Beautiful Game' , a synonym widely used to describe the world of football/soccer. A map of the world is transformed into a Dorling cartogram that emphasises the main football playing nations and federations that represent them internationally. Each country is represented as its own football, scaled to reflect the number of professional football teams that play in the country. The badges of teams fill each symbol creating a colourful, vibrant tapestry of club football that locates the world's major clubs and which gives a unique view of the spatial pattern and concentration on a global scale. The use of a cartogram provides increased space to locate club badges for national federations that have numerous clubs, shrinking those areas with fewer clubs which creates a way of accommodating the distribution appropriately for display. The country footballs have been placed inside the backdrop of a football stadium and the etymology of the word 'football' is represented through national association to truly demonstrate the global appeal and cross-cultural nature of the beautiful game. This map is not in any way affiliated with any of the organisations shown and represents a purely artistic endeavor. With thanks to my former students Michael Graves and Fabio Palacios who helped build and organise the club and logo databases.